Motorcycle accidents happen every day. Throughout Michigan and the rest of the United States, motorcyclists are put in danger on an almost constant basis by negligent drivers who violate traffic laws, drive drunk, or simply “do not see” the riders with whom they share the road. 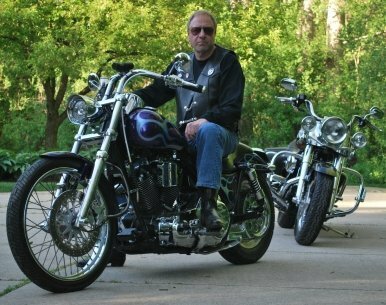 At Michigan Biker Law, we are here to help riders injured in motorcycle accidents throughout Michigan. As riders ourselves, we understand what it means to be injured in an accident. We have fought for clients’ rights in Michigan motorcycle accident claims for more than three decades. Why Choose Our Motorcycle Accident Lawyers? We have recovered millions of dollars in compensation for our clients. We are ready to help you understand your legal rights, find out how much your case is worth, and win the monetary damages that you deserve. Discover how our dedicated lawyers can help you! See more of our case results when you scroll down our?home page! No recovery? No fees! Call (800) MI-BIKER for your FREE consultation. Because we only handle motorcycle accident claims, we can apply all our resources and knowledge to assisting you with your motorcycle accident case, no matter how complicated it is. Our attorneys ride too, so we understand what you’re going through, and how to approach your case so you have the best chance of winning a positive outcome. We take calls 24/7. ?Contact a Michigan motorcycle accident lawyer?at our offices today for your free consultation! We proudly serve many?areas in Michigan, including?Ann Arbor,?Battle Creek,?Bay City, Canton,?Flint, Fowlerville,?Grand Rapids, Gregory, Hell, Howell,?Lansing,?Sterling Heights, Unadilla, and?Warren.